Scandinave Spa Whistler is Whistler‘s top spa where guests can escape to a haven of peace and tranquility, just a few minutes north of Whistler Village. There you can experience the age-old Finnish tradition of hydrotherapy and its energizing and relaxing benefits. The 25,000-square-foot outdoor nature spa has solariums, hammocks, outdoor fireplaces and a yoga studio to help you find inner stillness. Silence is a source of great strength so no cell phones are allowed and talking is discouraged. After your time at Scandinave Spa, you will most certainly feel refreshed and rejuvenated. At Scandinave Spa Whistler, the hydrotherapy process involves three stages and repeated cycles are encouraged. First, you start with heating up the body in a hot installation (hot bath, Finish Sauna, wood burning sauna, or steam bath) to help release the body’s negative energy. Then move into a cold installation (Nordic waterfall, Nordic Shower, or cold plunge bath) to release endorphins and flush out toxins. The final step is to simply relax to allow the heart rate to stabilize and body to rest. For a complete experience, book a massage to invigorate your aching muscles. Here are three ways that you can score Scandinave Spa Whistler deals and discounts for your next visit. These offers are available via Costco and WaySpa. Costco offers Scandinave Spa Whistler gift cards at the price of $79.99 for two $50 gift cards. I saw these in person at the Costco on Expo Boulevard in Vancouver. 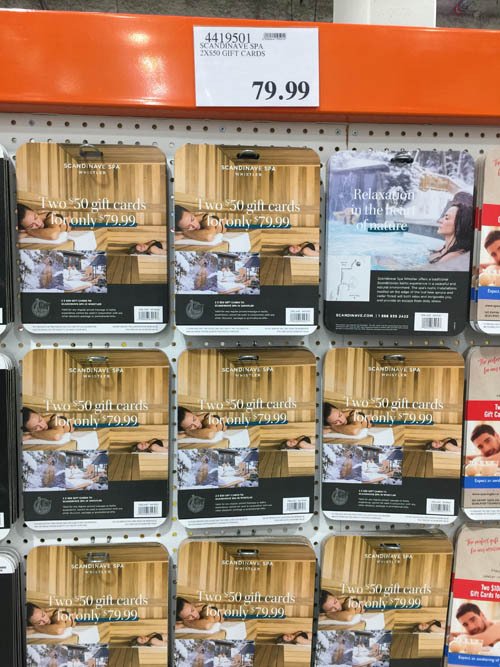 They don’t seem to offer these online at Costco.ca for Scandinave Spa Whistler but you can find ones for the Vieux-Montreal and Mont Tremblant locations here. 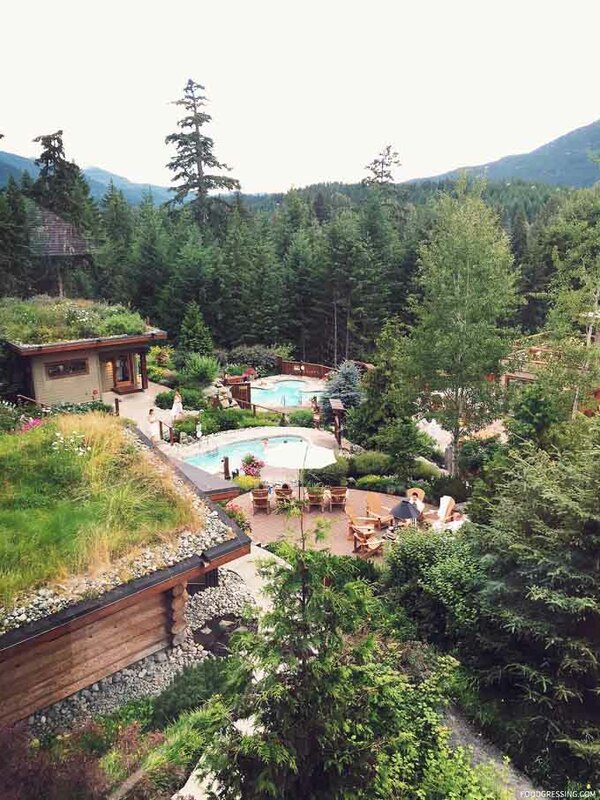 Did you know that Scandinave Spa Whistler is a WaySpa partner? Costco also sells WaySpa gift certificates at the price of $74.99 for two $50 gift certificates. 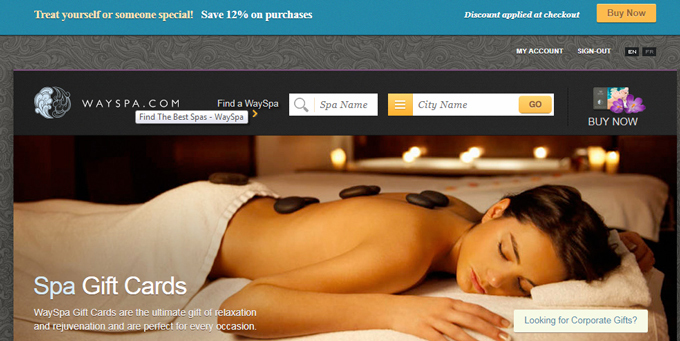 WaySpa e-certificates provide access to some of Canada’s finest and most luxurious spas. You can choose from thousands of rejuvenating spa services, available at over 2,000 participating spas across the country. You can use the Wayspa gift certificate for Scandinave Spa Whistler or any of their partner spas. 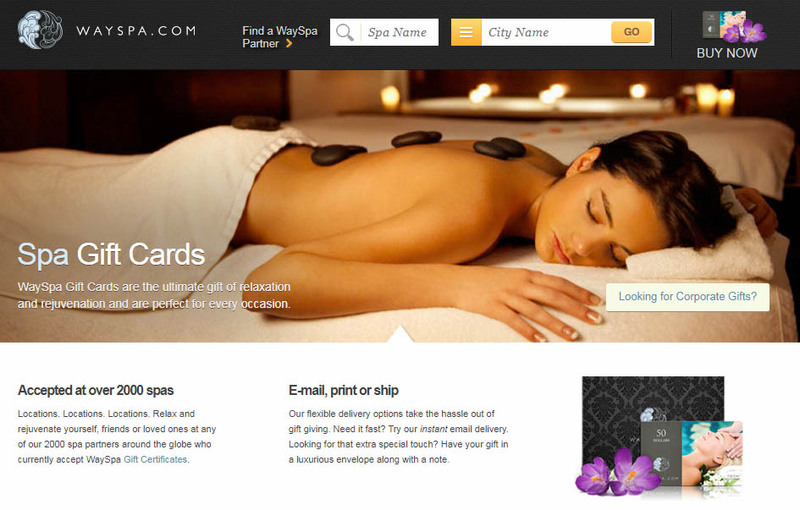 You can also purchase Wayspa gift certificates directly from their website. They tend to offer discounts throughout the year especially in time for special holidays like Mother’s Day and Black Friday. You can receive notification of these offers by subscribing to their newsletter. I have personally seen offers ranging from 10% to 22% off. Scandinave Spa Whistler is listed as a partner of Wayspa here. For more Whistler vacation ideas, see 5 Ways to Enjoy a Dreamy Whistler Vacation.